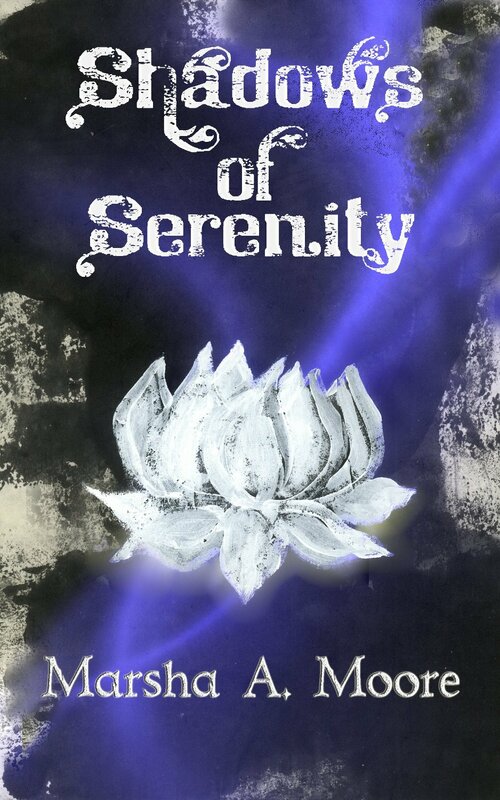 Fantasy author Marsha A. Moore’s latest release, Shadows of Serenity, concerns Joyce Runsey, who dreams of opening a yoga studio — a dream that has arrived. She’s fixed up an old Victorian house for the purpose and now begins taking on students for a yoga teacher’s training program. But someone is watching them. A shadow of a terrible past hangs over the studio, and even the birds who find sanctuary on Joyce’s property seem to be aware of its presence and try to warn Joyce. The ghost of a woman who died there has unfinished business, and begins making herself known, and the students, more in tune with their own energies take the brunt of her residual anger and sorrow. To top it off, the woman’s husband (recently released from prison) comes poking his nose into Joyce’s business — and tries to use one of her students for his nefarious ends. And then, a strange swami comes in, offering a blessing that he tells Joyce will come in handy. While Joyce tries to guide and protect her eager new students, despite the blessing, she can’t seem to keep dread at bay. Will the collective guiding energy and good will Joyce struggles to exude and the focus of her students’ budding energies be enough to set these evil spirits to rest? You’ll have to read this intriguing story to find out! The ghost’s tale on its own would satisfy fans of the paranormal, but Ms. Moore’s knowledge of yoga and of yoga teacher training brought an extra dimension to the story. That knowledge brought to life deeper spiritual aspects of the practice that, even as someone who practices yoga as a layman, I never knew before. For that, alone, I enjoyed this story, and I loved how it all deepened for the characters as they learned not only their new path in life but more about themselves and each other. As much as the yoga theme deepened the story, I think even readers less well-versed in the practice will enjoy the rich world the author built in Shadows of Serenity. If you’d like to check it out, it’s available at Amazon. For more on Marsha A. Moore’s work see her site here.